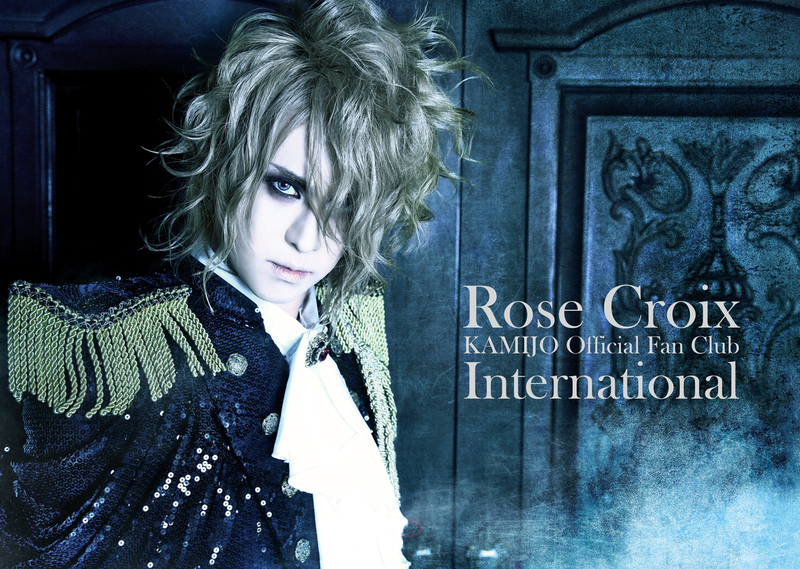 Here are the informations about the Kamijo week-end in Paris on november the 27th and 28th. This will be the last appearance in Europe for Kamijo in 2015. Note that for both events, Rose-Croix International members will have the privilege to enter first and will have exceptionnaly discount on some exclusive goodies. 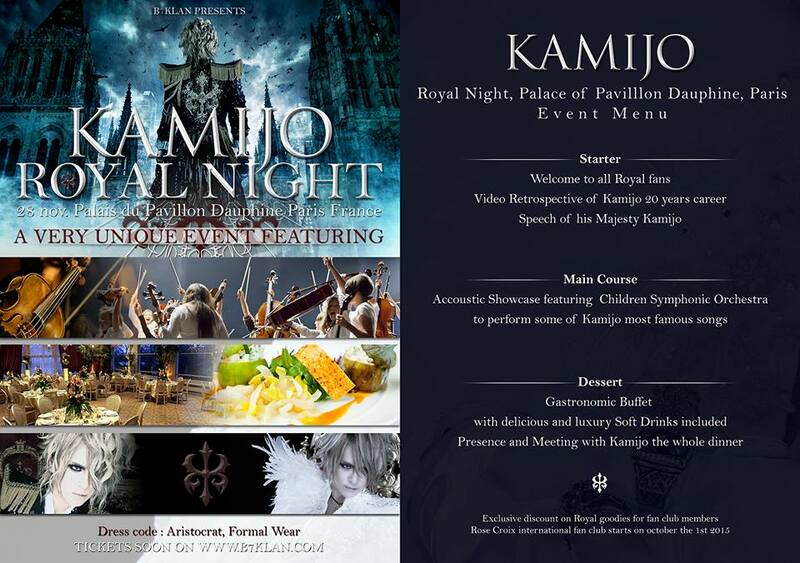 The Royal Night consists in a whole package in a very luxury palace including a 20th year anniversary video retrospective of Kamijo + a speech of King Kamijo + an accoustic show of Kamijo featuring a Children Symphoniic Orchestra + gastronomic buffet with soft drinks included (we will broadcast the menu soon). King Kamijo himself will be standing, meeting and saluting everyone during the diner. Dress code is aristocrat or well fitted (Dresses for ladies, suits, smokings for the men.. No jeans and no sneakers).